Still shuffle the cards with your own hands? Come on. Here we have a helper for you! 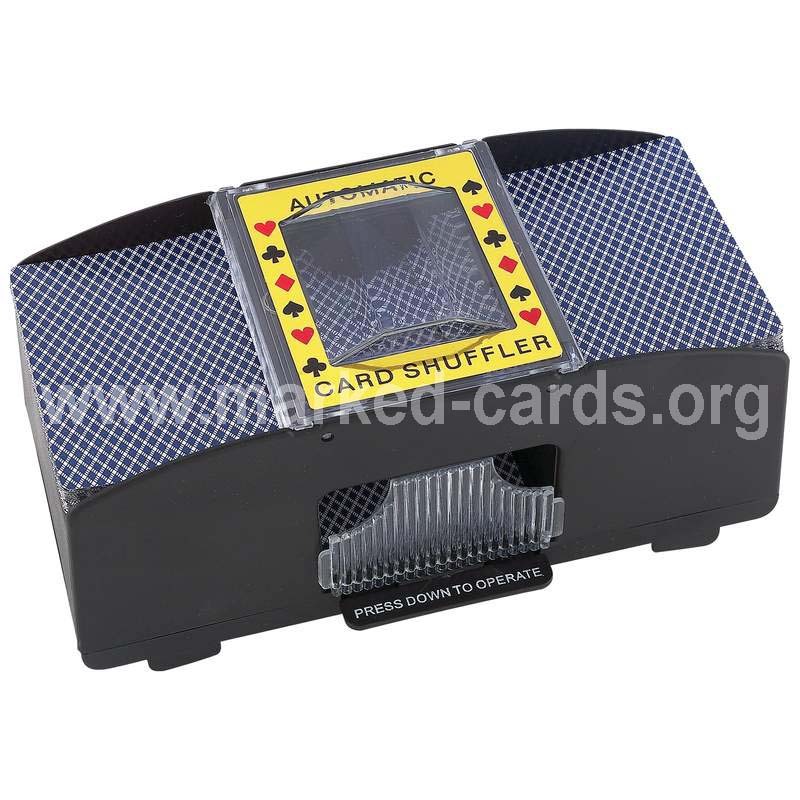 Shuffle two card decks with one push of a button. 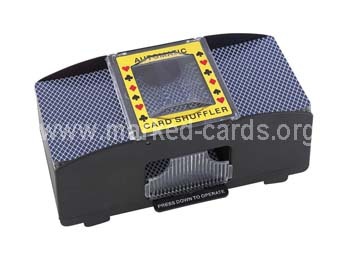 The one-touch automatic card shuffler perfectly shuffles up to two decks in no time so there is no lapse in play. It is a great gift for arthritis sufferers and those who need assistance shuffling. Use with bridge and poker-sized cards. Content: Перезвоните мне пожалуйста 8 (499) 322-46-85 Антон..
Admin_reply: друг, могу ли я узнать, какие продукты вам нужны? Content: Newest blue contact lens. Price?